The 2018 Porsche Macan has numerous advantages over other crossover SUVs, including quick acceleration, lots of options and a GTS edition which maximizes performance. However, the 2018 Jeep Grand Cherokee is a true contender, with its classy looks, eight-speed automatic, and ability to drive off-road. Which of the two should you buy? The newest Jeep is more opulent than previous editions, which by comparison were more working class. It has a new grille, along with LED lights in the back, a rear spoiler and steering wheel with three spokes. The controls are centralized and logically positioned, with LCD touchscreens. The exterior of the Porsche Macan is as smooth as a champagne glass. The side strakes, bumper and headlights are classic Porsche. Within the interior, the buttons and touchscreen can be found in the center, along with a gauge binnacle. Every surface is covered in only the highest quality materials. 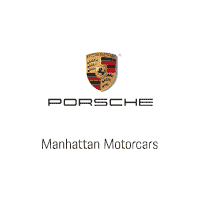 Porsche vehicles are extremely advanced when it comes to safety and the Macan is no exception. Every passenger will have their own airbag, and other safety measures include lane departure notifications, monitoring for blind areas, a surround view camera and control for both traction and stability. Inside, passengers will enjoy luxuries such as a fourteen-speaker sound system from Bose, Alcantara seats, Bluetooth support, seats that can be power adjusted, three-zone climate controls, and seven-inch touch screens. Although the Jeep Grand Cherokee offers many of the same safety features, its aging structure means that it hasn’t scored as high on the latest crash tests. Aside from airbags, it is also equipped with sway control, a rearview camera, assistance when ascending hills, and a headrest which is active. There are also alerts for cross traffic. Inside, passengers will have access to infotainment from Uconnect, keyless entry, power windows, locks and doors, and power seats that can be adjusted eight ways. The Jeep performs well both on and off road. It comes with a standard V6, 3.6-liter engine that can produce up to 295 horsepower. Within mid-range, it is extremely responsive and potent. Buyers also have the option of getting a diesel engine. The Porsche Macan comes with a standard turbo 4 engines that are capable of producing 252 horsepower with 273 pounds of torque. This allows it to get to sixty miles per hour in just over six seconds. The Porsche Macan and Jeep Grand Cherokee have a lot in common. Both are gorgeous, powerful, fast, and very comfortable to sit in. However, the Jeep Grand Cherokee is too thirsty when it comes to fuel, and its lackluster crash ratings compared to the Porsche is unacceptable given its asking price, so the Macan wins.